  ADV Bikes  CCM GP450 Gets Discontinued, New 600cc Model Coming!  New Euro 4 standards kill the GP450 but its successor may be even better. Since its introduction, the British-made CCM GP450 has been in a class of its own as a performance-oriented, nimble, adventure-ready machine. With its long-travel suspension, 276 lbs dry weight and 21″/18″ wheel combo, the bike has not only been praised for its off-road prowess but also for its cutting-edge engineering that incorporates a ‘Bond-Lite’ frame technology never before used in a production motorcycle. Now three years after the successful launch of the GP450, and after assurances by CCM of its arrival to the US, the British manufacturer has announced the halt of production of the popular middle-weight adventure tourer. According to CCM, the GP450 will be discontinued due to the replacement of Euro 3 with Euro 4 emission standards. The GP450’s aging 450cc engine, originally sourced from BMW’s discontinued G450X, is not able to meet stricter certification standards and can no longer be used. Soon the company will cease production of the model but anyone thinking of snatching up one of the last GP450s should think again. Austin Clews, Head of CCM, recently confirmed to ADV Pulse, “The GP450 will come to an end this year, in fact all of the remaining production is sold for 2017.” But the disappearance of the GP450 from CCM’s lineup isn’t necessarily a bad thing. A wishlist item for many has been an upgrade to the 450cc 5-speed powerplant that would offer smoother cruising on highways and enhance the bike’s abilities as a genuine all-rounder — that wish may soon be granted. CCM has recently secured the supply of a proven lightweight 600cc engine built by SWM (developed originally by BMW and Husqvarna). The new powerplant is just 22 pounds (10kg) heavier than the 450cc engine and provides a boost of 15 horsepower and 11 lb-ft of torque. Better yet, the 600cc engine also boasts a 6-speed transmission. The new model, called the GP600 Adventure, will have a chassis based on the same cutting-edge bonded aluminum frame of the GP450 with similar suspension and the same 21″/18″ wheel sizes. 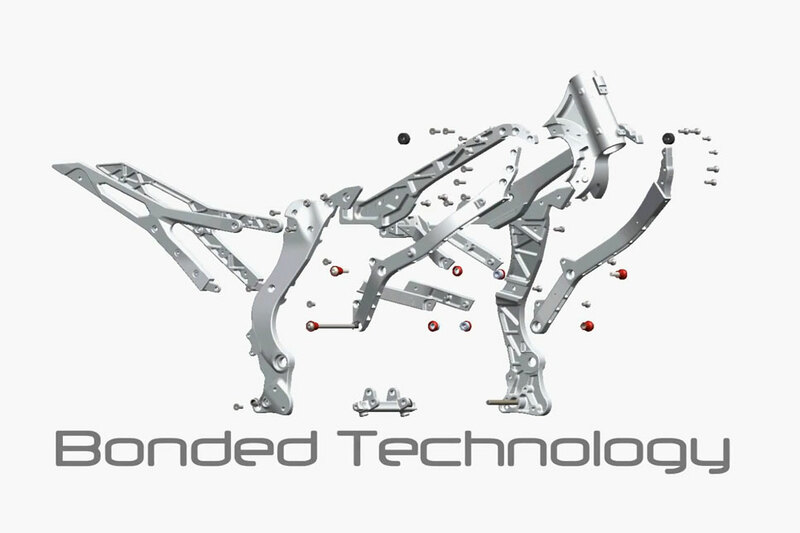 In addition, new forged carbon fiber frame parts will replace some of the current aluminium structures in the frame to allow further weight reductions. “With this, coupled up with the 600cc engine, CCM will most certainly create the lightest most technically advanced Adventure Bike on the planet; the new CCM GP600 Adventure,” affirms Austin Clews. The CCM GP600 chassis will be based on the cutting-edge bonded aluminium frame of the GP450 further optimized with new forged carbon fiber frame parts for additional weight savings. CCM isn’t ready to elaborate with more details at this time but we’d expect the improved power and 6-speed transmission of the GP600 will make for an even better ride on the highway. And hopefully, with only a minimal weight increase, the great off-road performance of the GP450 will be retained. CCM expects to finish development of the new GP600 over the next 18 months. CCM GP600 Adventure Coming to the US? With the success of the GP450, CCM gained a sound footing in the Adventure bike sector and has been building strength as a company year-after-year. According to CCM, one frequent question they get is “When will CCM come to the US?” CCM believes the US is probably the largest market for this type of motorcycle, but difficulties in getting the GP450 homologated and building a dealer network was apparently a bigger challenge than expected. With the release of the GP600, that could all change. Given the harsh realities of the motorcycle industry, seeing the GP600 on US shores may still be just a dream. But US fans shouldn’t lose hope just yet. The improved financial footing of the company and the expected larger demand for a 600cc adventure bike, may be just the driving force needed for CCM to finally get a foothold in the US market. 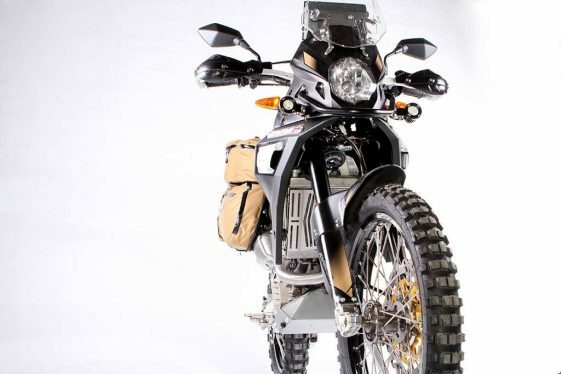  Hopes Dashed for Release of the 2015 KTM 390 Adventure? Sounds like a great way to go, the 450 could be made out of an ex dual purpose bike. Almost the same . The 600, little more weight ,which I don’t like, but it is an asset on the road will be helpful. Would like to see a twin motor . One of the things I really like about climbing on my 800gsa . Is the smooth motor. This hits me as really nice to have that smooth, quiet electric power , as opposed the ol traditional single. I have ridden dirt-trail bikes for 43 years n love my old WR 400 F. But when I climb on the 800 twin, There is a feeling of comfort n smooth that the twin offers. Just Sayin. On those longer road rides to the trailhead . They look so easy to assemble. Would love to be part of running a plant in SA building these. I hope by now they have learned how to build a decent electoral system. This is the weakest spot of the 450, which has caused problems for many owners, me included! Maybe teh Russians can help? Why can’t any of the big 3 Japanese manufacturers make something like this that is affordable and AVAILABLE in the U.S.?!?!? …and don’t talk to me about the DR650/XR650L/KLR650. Those are great old reliable bikes, but they’re dinosaurs… underpowered and overweight. They were awesome 20 years ago, but they really need to be replaced with modern versions. I would like to see the CCM 600 in the U.S. Apparently no other manufacturers see a market for a sub 300 lb more trail manageable adv bike with lower seat height options. 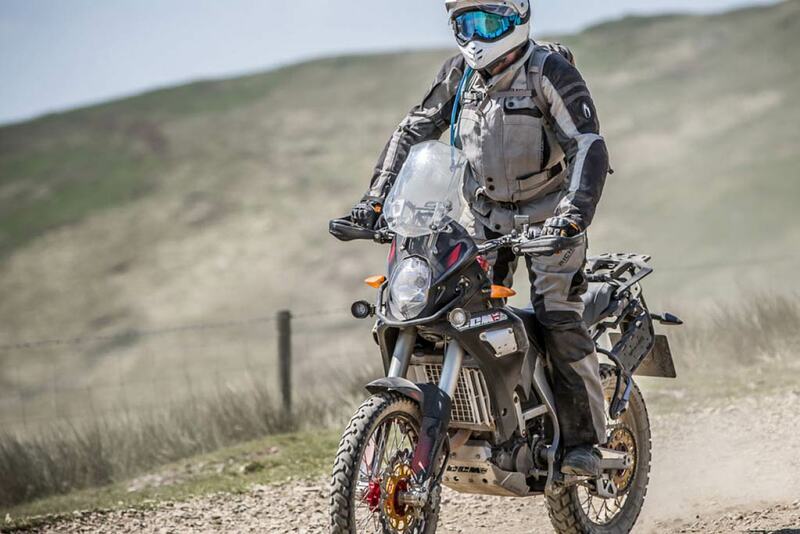 The 600 comes from the Husky TE 630. and now powers a couple SWM models. Hopefully they can work out the emission issues. “Forged Carbon Fiber”, Really? OK, I am familiar with the SCRIMP process in Carbon Fiber construction but just how is there a deformation and re-crystallization that takes place in a Carbon Fiber bonded frame. OK, I know this sounds snarky but I am very impressed with CCM and their technology AND the work done bu such leaders as Scaled Composits (Burt Rutan). If the flacks at CCM (and surely CCM needs PR people) toss out “Forged Carbon Fiber” please ask them what they mean by that. SWM ist already building their own bike which is available in europe (SWM 650 Superdual). And for those of you who like to go seriously off road: AJP is using that SWM-engine to built their AJP PR7, already available in europe too. I don’t really know why it needs another very similar bike with the same engine. Doesn’t seem to be a smart decision of CCM. Wolf is correct, SWM has 2 bikes with this motor, AJP has an endure/adventure with this motor. There will be many to choose from!!! It must be one sweet motor! Simple answer: CCM can’t get hold of any other 600cc single. KTM for sure won’t sell them theirs. What other 600cc singles are currently out there? And since the SMW engine is build from parts made in china it is probably available for a decent price! My guess is that CCM has simply used up almost all the engines they bought from bmw or kymco, which must be by now around 300. They probably keep a few engines as exchange units for such important users like the UK transamerica expedition. If they are clever they will probably reuse the same plastic parts (tanks, fairing), to save money on the tooling costs for the moulds, which are necessary to make the parts and which are quite expensive. I doubt that 300units paid for that. Maybe CCM originally planned to make more 450s and had an option on more engines, but now that SMW is offering their single they opt for that one. At the other hand it must have been a big effort to get the 450 US approvedand now they cancel it. But at the end its all about what the market wants and about profitability! Will be great when it comes out as long as it’s under £6000…..
I’ve just bought a CCM Spitfire for my xmas present. Unfortunately it’ll be too risky to use it off road due to limited numbers. Should have bought one to look at and one to use!